TBL 37 is nearing completion for publication early next month. As you will read below, this really is an exceptional issue Having worked away at it these past few months (with invaluable assistance from Mike Tremaglio) – the objective is to get this issue seen by the widest audience possible. 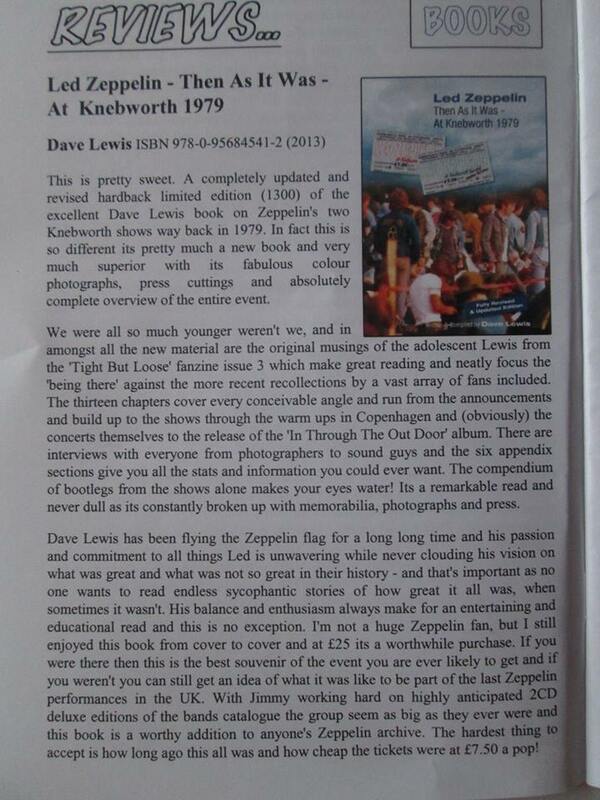 To that end, I am driving a promotion to draw in lapsed and potential new readers by offering the forthcoming issue at a bargain price –the price is just £3 plus postage – a substantial saving of almost 50% on the normal cover price. So – if you are reading this (as many of you are) and have never indulged in the TBL magazine, I would urge you to do so –this really is a great issue to come aboard. Revenue of the magazine is the lifeblood to driving the whole TBL brand, including the running and maintaining of this website. In effect the magazine remains the cornerstone of the TBL offer. 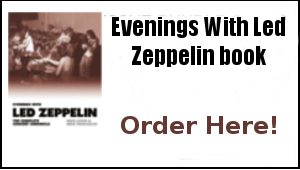 I believe passionately, that within all the masses of Led Zep related info available on many a website, facebook and twitter page, the TBL magazine stands alone as offering something truly unique, tangible and collectable, within all the platforms of modern day social media communication. Not least because you can tangibly feel the product and soak up the content at your leisure to be stored and read again and again – content that (with key input from the various contributors), I strive manfully to make as interesting and captivating as possible. To maintain that status, I need to be selling more copies and increasing the subscription base to reach a much wider audience. It’s a source of some frustration for this editor that given the man hours and effort that goes into producing the magazine, it has a relatively minimal audience in the scheme of things and many of you who clock this website have yet to indulge. With your help, I aim to substantially change that this year. Driving up the subscriptions and sales of the TBL magazine is one of the key initiatives of the TBL brand ahead. There is of course a dedicated loyal base of TBL readers and subscribers – many of whom have supported the magazine over many years and we have grown sales in the past year which is very pleasing given the current economic climate. But there are more of you out there I want to capture. So have a wade through the info below – then go to pay pal and order this forthcoming issue. 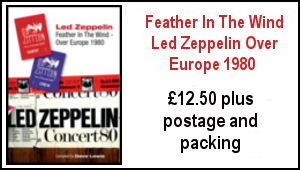 Treat it as a tariff if you like for all the free information I provide week in week out, to enhance your appreciation of the wonderful world of Led Zeppelin and beyond. 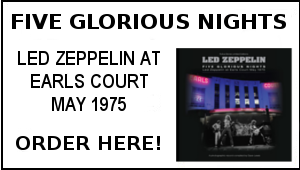 IF YOU LOVE LED ZEPPELIN – YOU WILL LOVE THIS MAGAZINE! AND THE NEW ISSUE IS AVAILABLE AT A SPECIAL BARGAIN PRICE! Once you have enjoyed the TBL magazine I am sure you will be back for more – and the full details of the TBL 2014/15 Subscription offer will be included in your package. 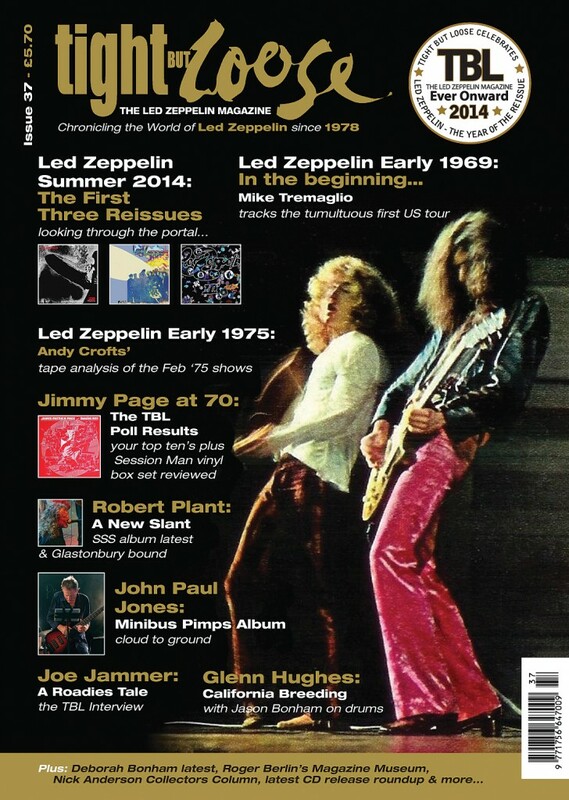 This is the summer of Led Zeppelin – and the Tight But Loose magazine is the must read magazine to aid your enjoyment of a memorable period…don’t miss out! 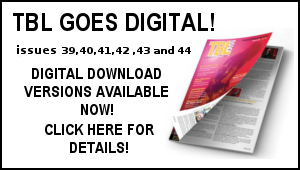 If you are a current TBL 2013 subscriber –this issue completes the 2013 subscription for which you will have received issues 34 and 35 and the forthcoming TBL 37. Therefore to re iterate, you will automatically receive issue 37 next month. The TBL 2014/15 Subscription is now live – so you can re subscribe any time – the sooner the better! This will ensure you never miss an issue and will be covered for the issues TBL 38, 39 and 40. One again there will be a special 10×8 unique Led Zeppelin print suitable for framing for all subscribers. I will be enclosing a prompt flyer in every copy of TBL 37 posted out to remind you it’s time to re subscribe. Many thanks for all your support in advance. 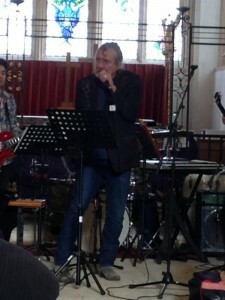 Robert Plant made a surprise appearance on April 4th at a special charity night at a church in the Cotswold’s to raise money for The Children’s Society, Christian Aid and Open Door. The charity show was staged at the church of St Peter & St Paul in Northleach, near Stow-on-the-Wold. 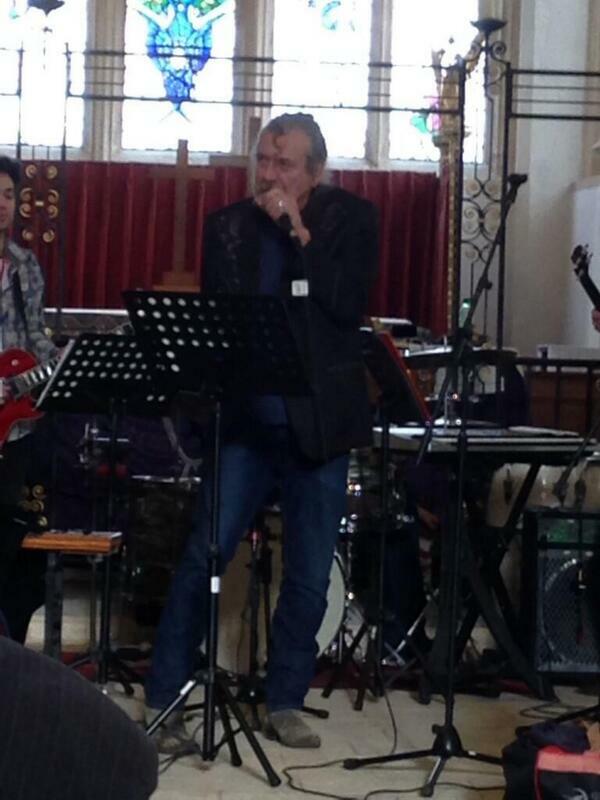 Also in attendance were Steve Winwood and Steve Gibbon’s. In front of around two hundred lucky punters Robert performed gospel laden versions of Satan, Your Kingdom Must Come Down, Twelve Gates to The City and Nobody’s Fault But Mine, the latter feature Steve Winwood on guest vocals and Plant pulling out the old harmonica. The night also included Abby Brant (keyboard player with Bev Bevan’s The Move), Rob Mason on drums, Tony Kelsey and Greg Platt Lake on guitars, Cal Winwood on congas, Julian Crook, Abigail Kelsey, Gordon Jackson on backing vocals. Also featured was Mary Jess Leaverland who won the Chinese X Factor while studying in China. Below are three videos from the night, the last two being audio only. Jimmy Page is currently in Japan promoting the Led Zeppelin reissues. He also attended Jeff Beck’s show at the Tokyo Dome -Jimmy was also spotted in Lighthouse Records. Bit of a weird old week here trying to get to grips with various projects and initiatives – not least the launching of the TBL 37 bargain offer and TBL 2014/15 subscriptions. Then there’s been more work on the final lap of TBL 37 with the coming together of some significant last text which again should go some way to making this issue an exceptional one. Janet’s mum Betty is thankfully back home from hospital and we have been monitoring her situation daily. Have to say the old hay fever is at its peak for me right now and there are sneezes and eye soreness a plenty – but I’m bravely manning up. On Sunday there was a whirlwind trip into London to assist our Sam moving into the flat she is staying at for the next three months. There was just time for a quick trip across town and to Berwick Street and Reckless Records. I picked up the very fine Johnny Winter album Still Alive and Well that has covers of The Rolling Stone’s Silver Train and Let It Bleed all for the prince sum of £1. Incidentally, the day I’d been in town to interview Glenn Hughes I did a swift bit of biz in Reckless to acquire a whopping 18 LPs for just £10.50 including albums from Traffic, Vanilla Fudge, Jose Feliciano, Booby Whitlock, Kracker on Rolling Stones Records, Randy Newman ,Cat Stevens, Free, The Nice ,Bobby Vee and Gene Vincent. I’ve managed to hide them from the good lady Janet so far! So a few of the above have been on the player along with some Ronnie Lane notably the Rough Mix album with Pete Townshend and a Zep fix of the Mudslide and BBC Broadcasts LP’s. Ahead next week, I am aiming to get away to see Deborah Bonham at the excellent Stables venue in Milton Keynes on Tuesday and Record Store Day beckons on the Saturday – we actually have a bit of train trouble getting there early as there is maintenance work going on along the Bedford to London line restricting the service – so we may need a plan B to sort that. Tomorrow the good lady Janet and I are looking to get some respite in the fine city of St Albans where Empire Records may well be visited. 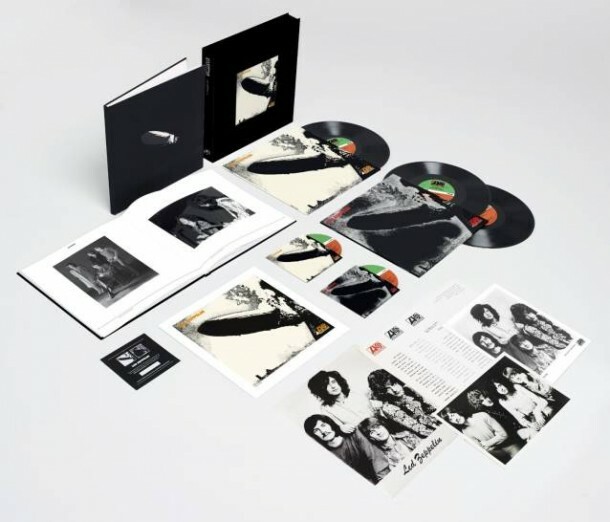 It’s a vinyl world we just live in it…and high on the desirable vinyl required list is of course the Led Zepplein I reissue with the live at Olympia set…the desirability of which has been heightened by the tantalising trailer as seen above…the excitement mounts with 52 days to go and counting…. Robert Plant and the Sensational Space Shifters will continue their journey on the road this summer. Will you be part of the experience? Dave Lewis/Gary Foy – April 11th, 2014. Hi Dave, I`ve pre-ordered the first three album`s on vinyl. So roll on JUNE. Also the next magazine 37, I think . Dave,no,afraid I will not be part of Robert’s & SSS experience this summer . Sad to have to admit that,this coming from a dedicated RP follower of 35 + years. Have to say though am looking forward to seeing Jeff and his new band next month in Oxford.